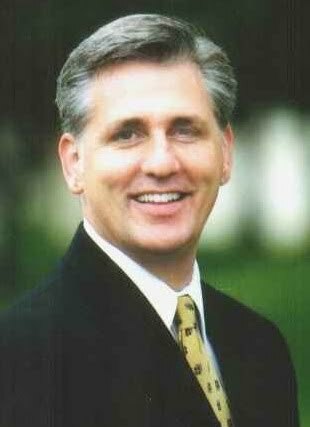 Bakersfield Observed: McCarthy: tax and spending endangers the futures of our children. Time for control. McCarthy: tax and spending endangers the futures of our children. Time for control. Rep. Kevin McCarthy (R-Bakersfield) gives us his week in review from Capitol Hill. In his words"
trillion deficit this year, or are they just going to go along with the President’s suggested budget proposal? The President's proposal, which is his blueprint for the upcoming year, would increase government spending to $3.8 trillion for FY 2011 and result in annual deficits of no less than $700 billion over the next decade. Additionally, the Federal publicly-held debt would expand to $20.2 trillion or 90% of GDP by 2020. This is unsustainable and is why my colleagues and I sent a letter to the Speaker asking her to ensure the House considers a budget resolution for the sake of the American taxpayer. If there is no blueprint, how can we seriously address spending, deficits, and the debt? country is “unsustainable” and tough choices lay ahead for Congress. Unfortunately, Democrats are poised sweep more dirt under the rug--I say it's time to clean house. "Our country’s future depends on Congress changing course--away from its unaccountable and irresponsible tax and spend policies that endanger our children’s future and the continuing strength of our country. My colleagues and I look forward to engaging all Americans in the near future to produce solutions that are not from Washington to put our financial house in order and get our economy back on track. "I’ll be sure to let you know when this new initiative is launched because I want your input. "It was good to see Nick Bikakis from Bakersfield, a veteran of the Gulf War, he and his family were visiting Washington this week. Call my office for tours if coming for a visit. This weekend is the State Forensics Competition at BC and I look forward to meeting all the bright high school students who are taking part.